These lightweight nylon knit gloves fit like a second skin. Tougher than rubber, the nitrile coating protects palms and fingertips from the hazards of serious gardening. 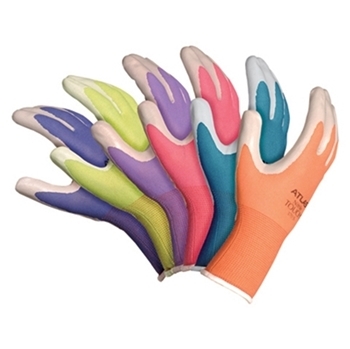 These ultra thin gloves let you feel what you're doing: weeding, pruning, even picking up individual seeds! Available in Extra Small, Small, Medium and Large.